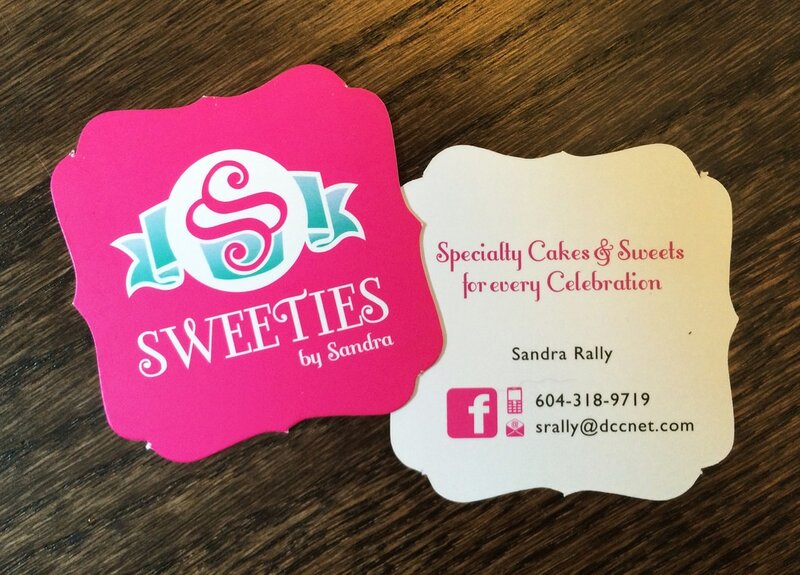 Check out the Sweeties by Sandra Facebook page! Sandra was hoping for a logo with a vintage flair to it! The typeface, circular frame and ribbon as part of this logo certainly gave it the homemade, nostalgic quality she was looking for. The brand mark is a stylized cupcake, topped with a double “S” to create the look of swirly frosting. We decided on the modern and bold colours of magenta and a retro minty green.